The top specification Tiger 800 XRT offers superior on-road adventures for those who want to take on the world’s highways and explore off the beaten track. 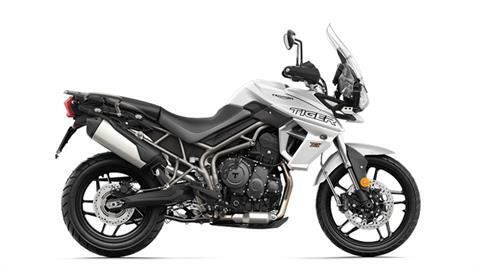 The XRT is a ride which mixes premium comfort and all-out adventure, with a smooth delivery and confidence-inducing capability. 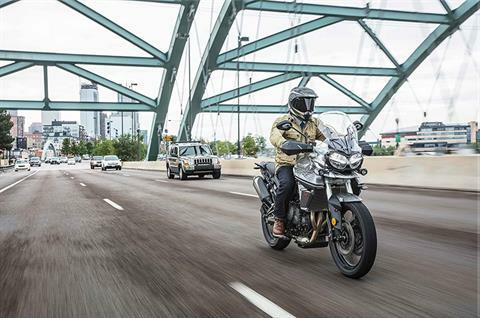 As you would expect with the top of the range model, it comes fully loaded with a more responsive Triumph 800 Triple engine, a lighter exhaust system, full-colour TFT instruments and backlit switchgear, five-position screen, five riding modes, and many more features that make the Tiger 800 XRT the best of its generation in every way. Showa adjustable suspension, 19-inch aluminium cast front wheel and Metzeler Tourance Next tires work together with the XRT’s electronic systems, and the heated rider and pillion seats for a totally intuitive and supremely comfortable road ride. 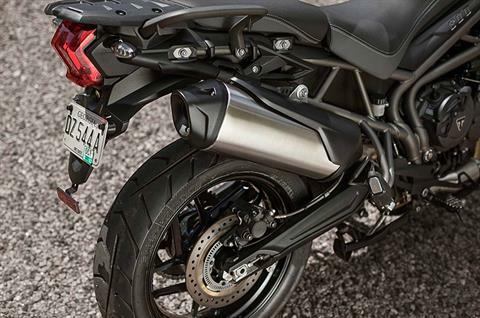 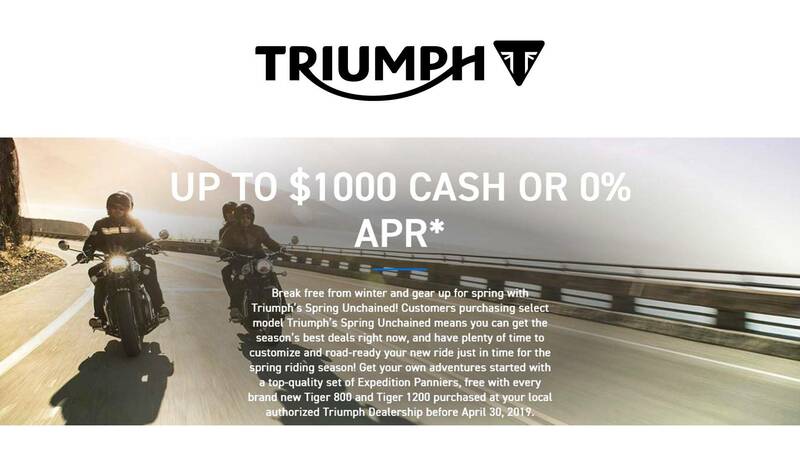 Other standout features include the shorter ratio first gear for more low-speed traction and instant responsiveness right when you need it most, alongside the Tiger's category-defining core technology and capability set-up, including ride-by-wire throttle and premium Brembo front braking system. 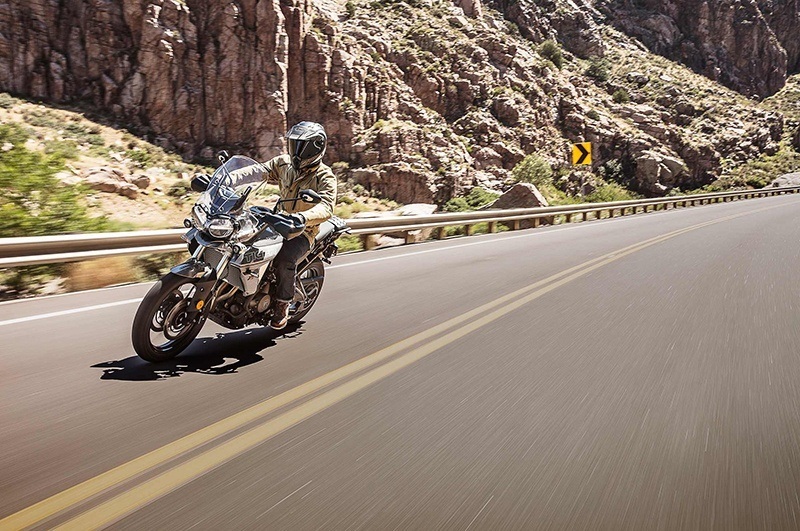 The Tiger 800 XRT delivers maximum on-road adventure every day. 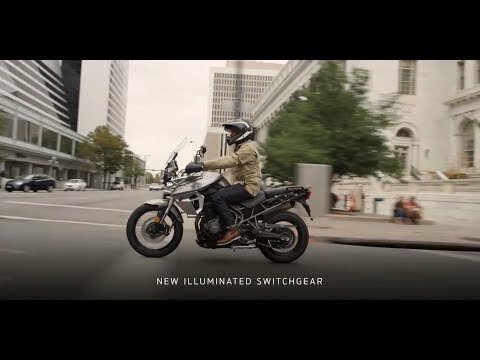 TFT multi-functional instrument pack with digital speedometer, trip computer, digital tachometer, gear position indicator, fuel gauge, service indicator, ambient temperature, clock and five rider modes (Road / Off-Road / Sport / Track / Rider-Customizable).